LSE is one of the world’s leading social science universities. We have committed to a strategy that will build on our strengths, address challenges and maintain our worldwide reputation for excellence. Our staff community is as diverse as our student body, with staff members working at the School from across the globe. 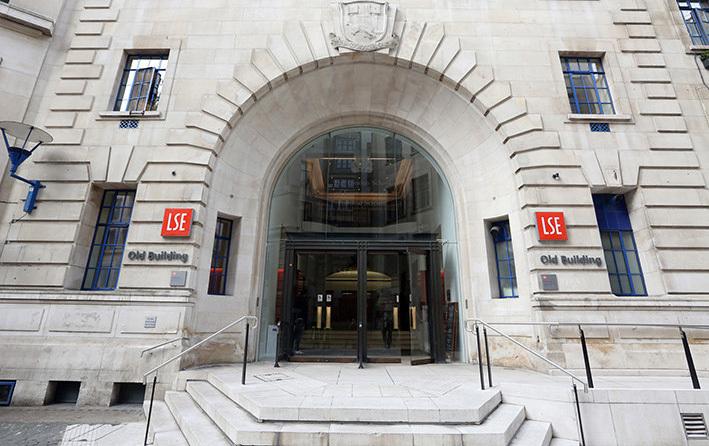 At LSE, we have students come from 160 countries and 100+ languages are spoken on campus. Between 2015 – 2016 we had overall 10,883 students, of that 7,544 were overseas students. Our staff community is as diverse as our student body, with staff members working at the School from across the globe. At LSE, we’re known for our excellent research in the social sciences. We’ve produced 16 Nobel Prize winners, and in the last Research Assessment Exercise we had the highest percentage of world-leading research of any UK university. Our future success will be built on the people who continue this work, pursuing our motto ‘rerum cognoscere causas’ – to know the causes of things. Join LSE and you’ll find yourself in an exceptional university, at the heart of an exceptional city. Above all, you’ll be able to make a difference. SearchHigher has been exclusively retained by The London School of Economics as the executive search firm for this appointment and welcome your application and enquiries. The London School of Economics has introduced a new career track for academic staff whose primary responsibility is for education. The Department of Accounting is seeking an experienced Accounting academic to oversee the leadership of its MSc Accounting & Finance and MSc Accounting, Organisations and Institutions programmes. This role carries the title of Associate Professorial Lecturer in recognition of the programme-level responsibilities and the excellent educational track record of the post holder. The role anticipates an experienced Accounting educator who can bring academic leadership to the design and delivery of the taught provision, as well as someone who will have the necessary expertise to innovate and develop the provision of world-leading Accounting education. Working closely with course leaders and teachers, the post-holder will be responsible for student tutoring, programme development, quality assurance and careers advice as well as being allocated teaching on accounting courses. In addition s/he will work with the respective Programme Manager on all aspects of student service delivery, marketing, alumni engagement and external relations, and will have a leading role in the development of student services offered by the Department. The post-holder will also contribute to the development of an effective learning community in the department, in line with the ambitions outlined in the School’s Education Strategy. The ideal candidate will have a track record of excellence in teaching Accounting, degree programme leadership and curriculum development. In addition, candidates will be expected to demonstrate an understanding of Accounting in both the private and public sector and an up-to-date knowledge of accounting education in leading UK and international institutions, as well as UK higher education policy and developments. Salary is competitive with departments at our peer institutions worldwide. The minimum salary for Associate Professorial Lecturers at the LSE is £63,201 pa inclusive.